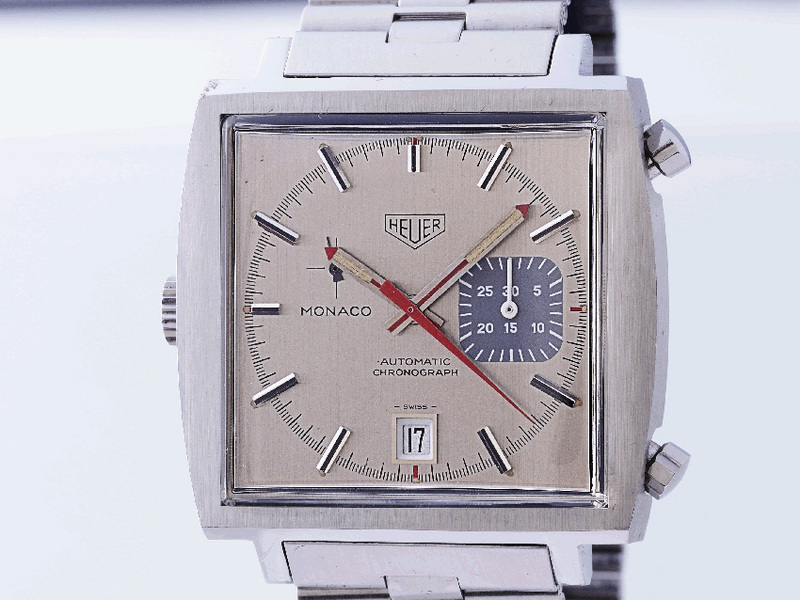 Heuer Chronograph Monaco with the extraordinary square design became worldwide generally known while being worn by Steve McQueen during the movie from 1970 "le Mans". 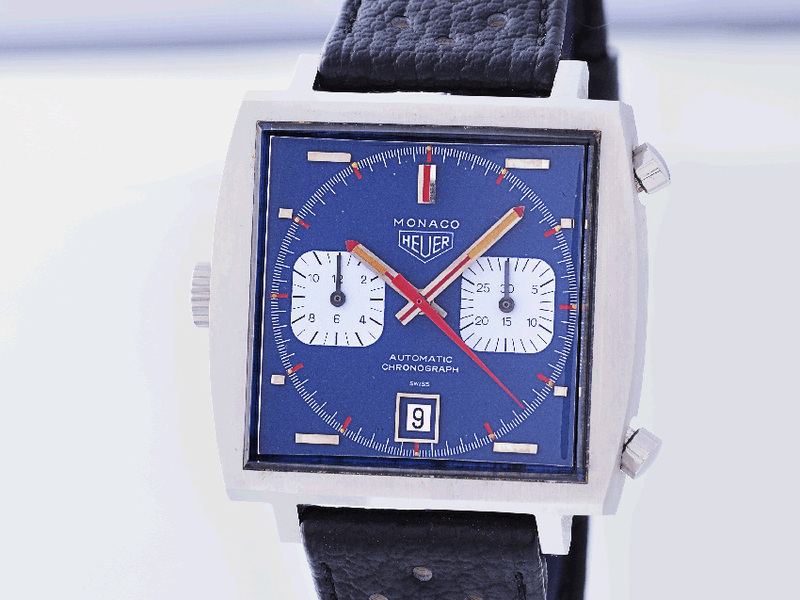 The cult chronograph was named after the famous racing circuit in Southern France: Monaco. 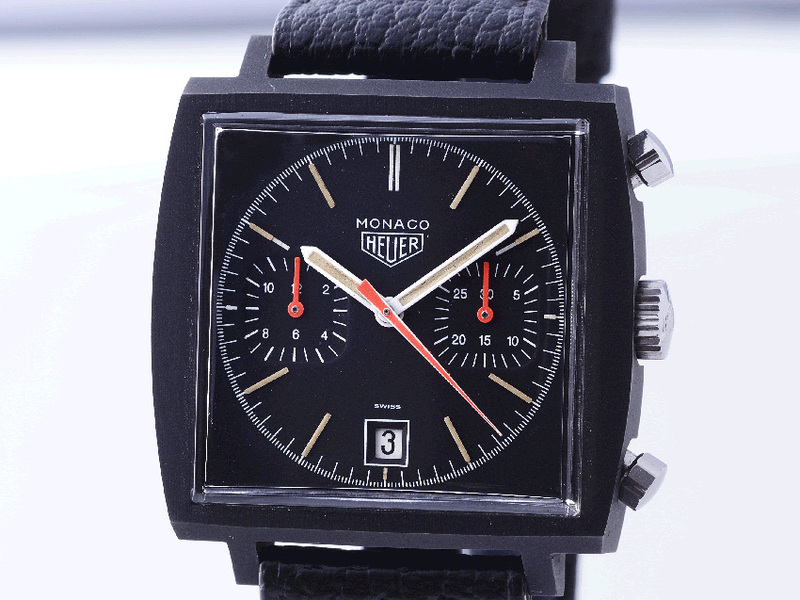 In honour of this challenging circuit Heuer launched in 1969 a automatic winding chronograph with a former state-of-the-art design. 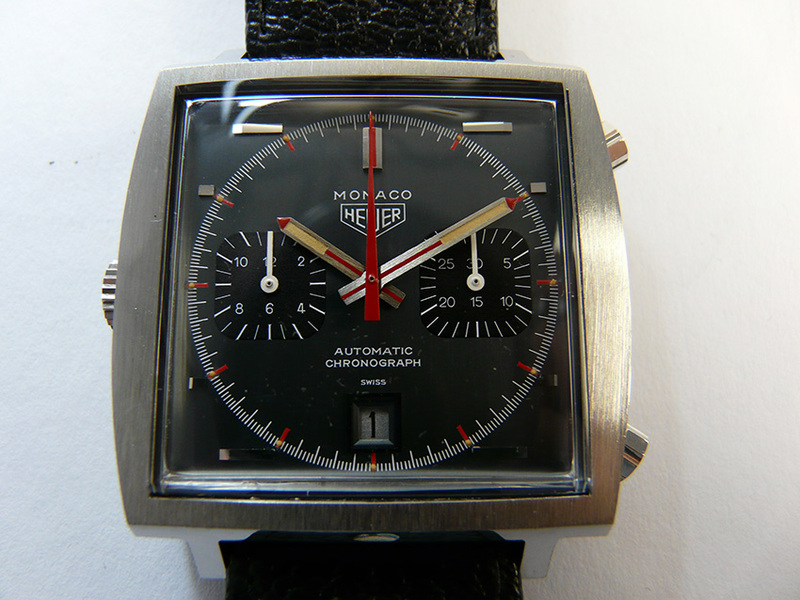 This is one of the most collectible and desirable of all of the Heuer watches made distinctly popular with it’s racing theme and the fact that the original was worn by Steve McQueen. 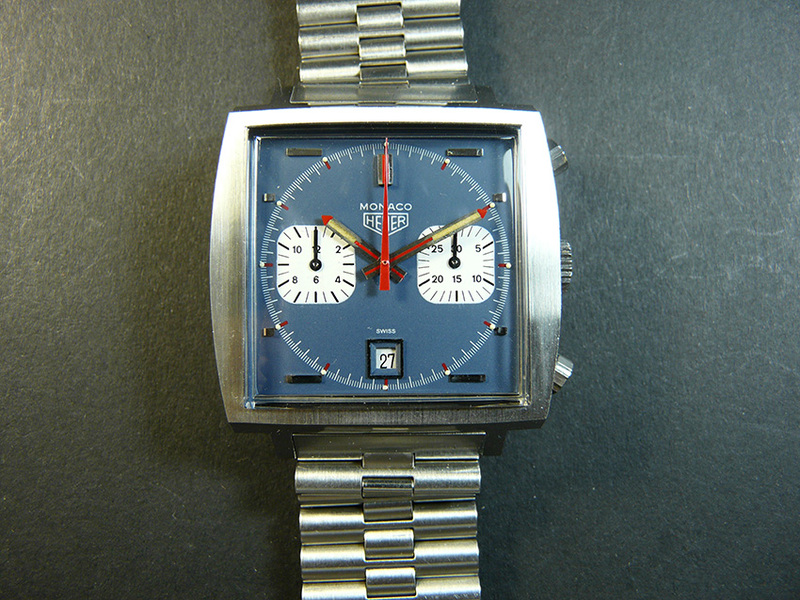 It also happens to be the most desirable of the re-issue Tag Heuer watches. 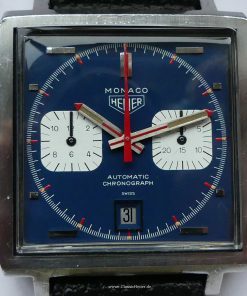 According to Jack Heuer only 4.500 Monaco (all references - all colors of dial) were produced in the period from 1969 to 1974. 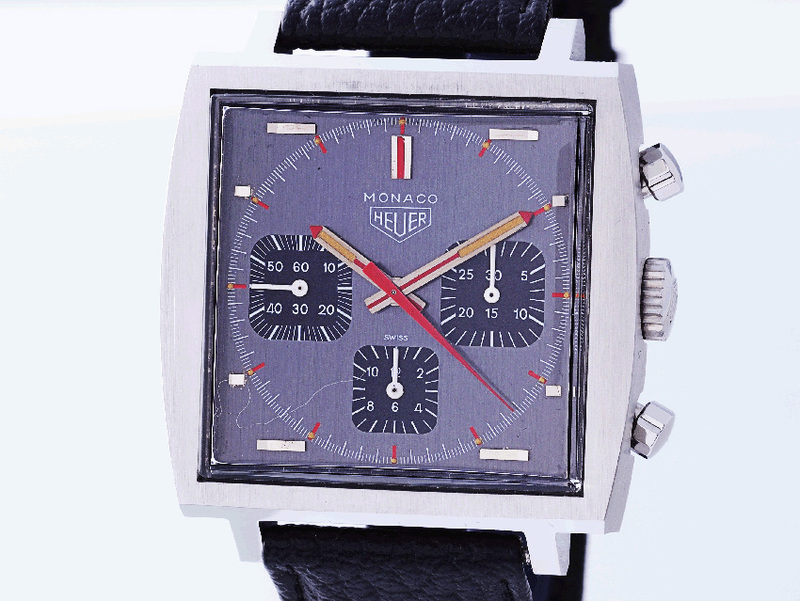 Heuer has long had a strong connection with automobile racing, and in fact first became known on a worldwide basis when Steve McQueen wore a Heuer Monaco chronograph in the 1971 film "Le Mans". 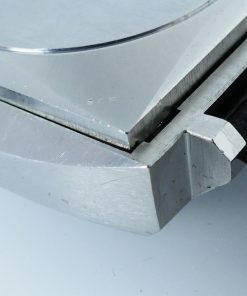 At that time productplacement wasn´t taken for granted as it is today. 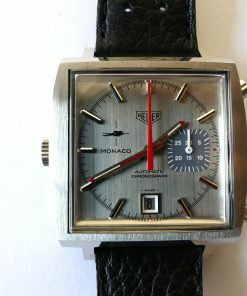 At the beginning of the shootings it hasn´t been decided which timepiece will be used by the actors. 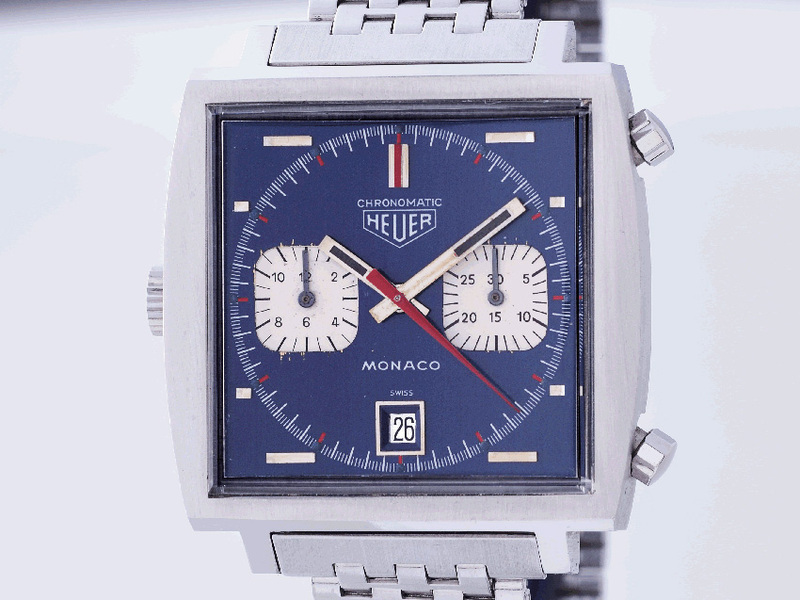 On the recommendation of Jo Siffert Jack Heuer has got the chance to present his watches. 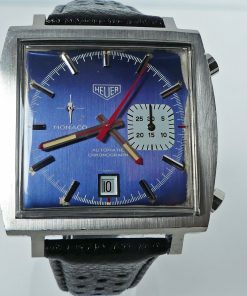 Gerd-Rüdiger Lang (today owner of Chronoswiss), one of his employees has been sent with a case containing the complete Heuer chronograph collection to the film location. 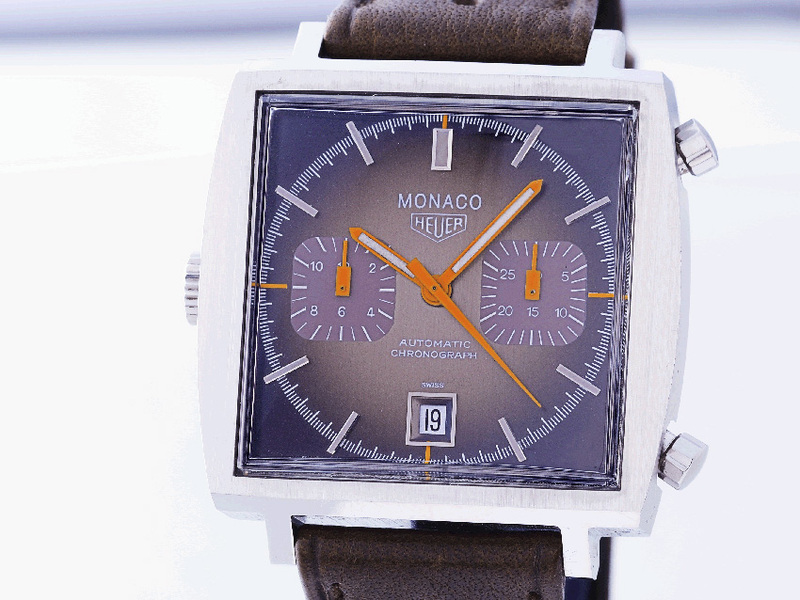 Steve McQueen has chosen the most stylish and cool model "Monaco" and thus has founded the legendary success of this chronograph. 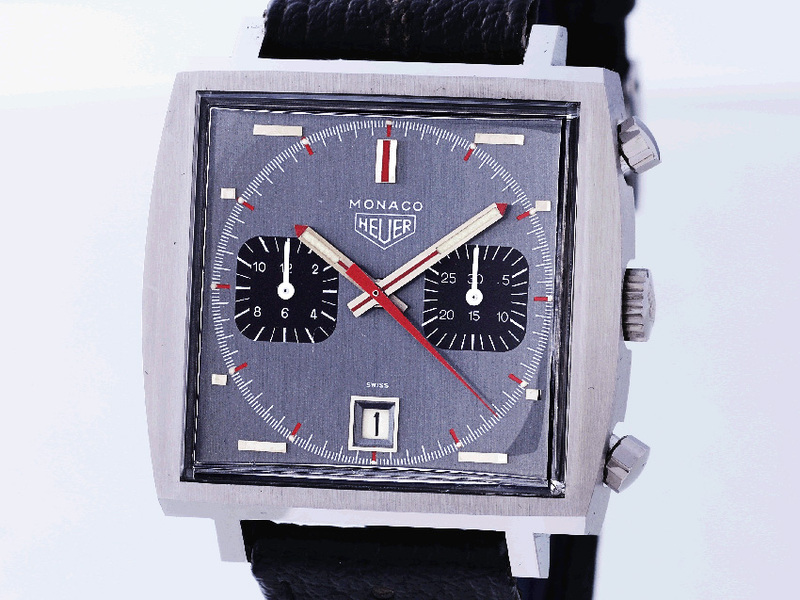 Steve McQueen (March 24, 1930 – November 7, 1980) was a United States movie actor. Nicknamed "The King of Cool", he was considered one of the biggest box-office draws of the 1960s and 1970s due to what many film goers consider a captivating on-screen persona. 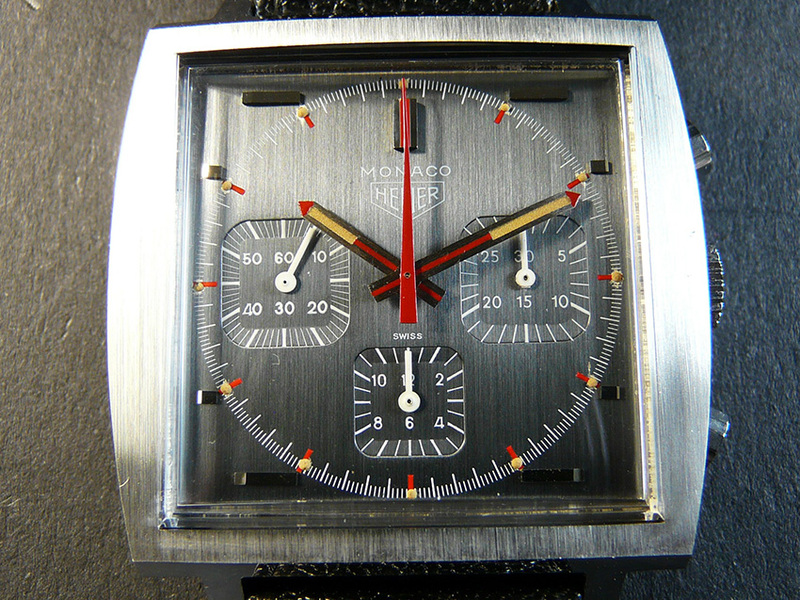 McQueen was considered combative and the archetypal "difficult movie star" who disliked working with directors or producers. To compensate, he would work only if paid a higher-than-average salary for his films. 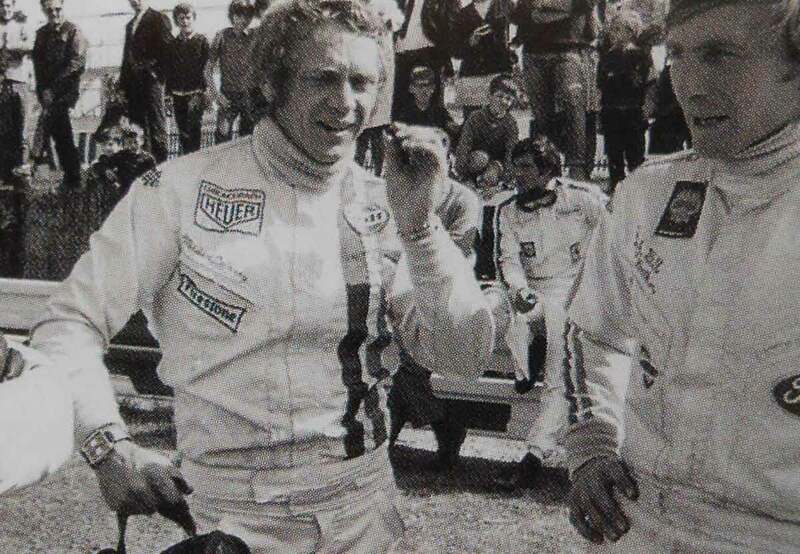 The film is today still popular among race fans as it is a relatively accurate depiction of the era, with a lot of racing but very little dialogue. In fact, the first 38 minutes, showing McQueen's character arrive and the pre-race build-up, does not have any dialogue at all. 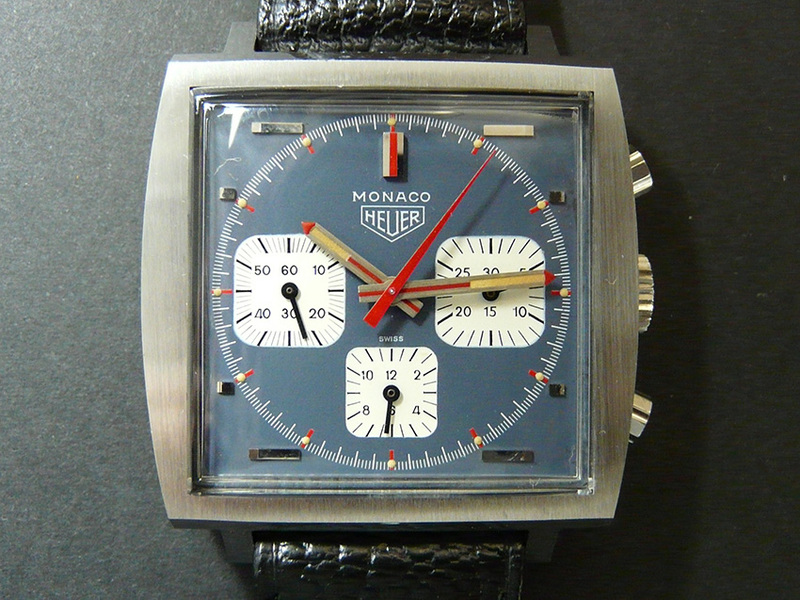 Due to this, and partly to the American market's general low awareness of the Le Mans 24 Hour race, it was only a moderate success at the box office there. 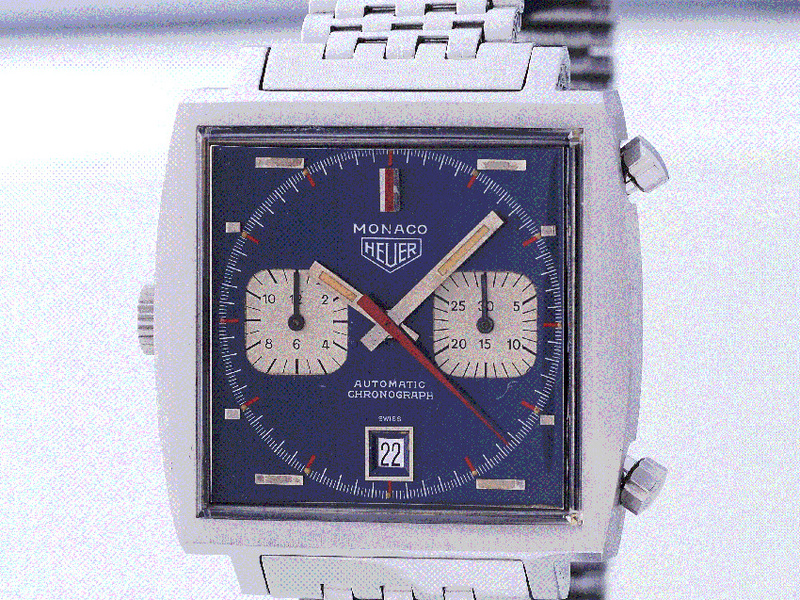 McQueen had intended to race a Porsche 917 together with Jackie Stewart, but the #26 entry was not accepted. 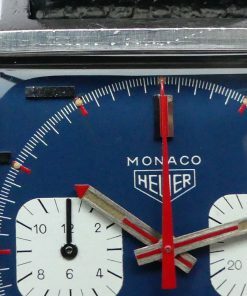 Instead, in the movie, he was shown starting the race on the blue #20 Gulf-Porsche 917K, which in the real race was driven by Jo Siffert and Brian Redman. 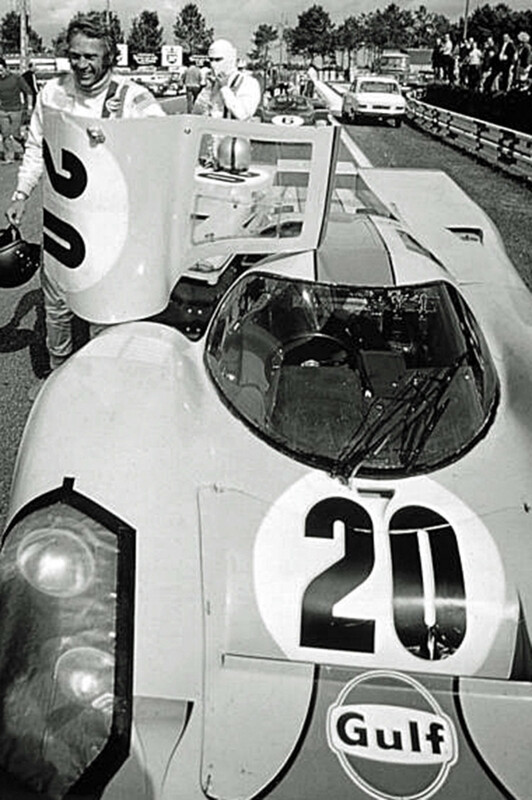 The race-leading white #25 Porsche 917 "Long tail" was piloted by Vic Elford/Kurt Ahrens.